Wayne and Garth’s in-home TV studio would look dramatically different in 2017; it would be equipped with wet bar, movie screen and games room to entertain rock star guests; they’d lounge on stylish sofas and warm to the glow of a gas fireplace. No longer playing second fiddle to the main floor, the basement has come into its own as a functional and desirable living space—and created growing opportunities for renovators. The basement is more cost-effective means of getting that space than building a new addition or moving to a larger home. The trend has become so popular that some renovators, such as Penguin Basements and Ottawa’s Just Basements, are specializing solely in those type of improvements. Many other renovators and custom builders offer basement renovations as part of their roster of services. 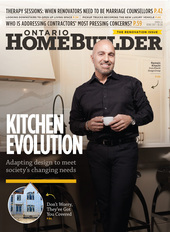 Bruce Bowden of Walden Homes, a Toronto company that provides custom home-building and renovations, says demand for those bottom-floor renos comes both from owners of new homes (that usually don’t have finished basements included as a standard feature) and from owners of older homes looking to create living space in downstairs cellars. 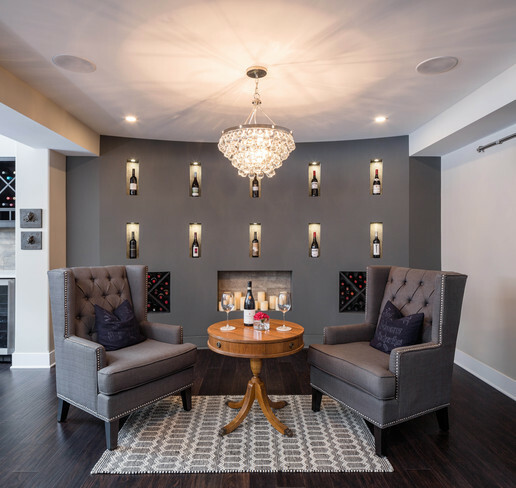 While he says it’s hard to pinpoint the typical cost of a basement renovation, as each is so individual, Bowden notes they are significantly less than the average $300 per-square-foot cost for a new addition. Another plus for homeowners is that unlike main-floor improvements, such as creating an open-concept layout or building a new kitchen, “it’s a renovation you can live through,” says Bowden. And as far as finishes are concerned, forget faux wood panelling and cheap features. Basements have gone upscale to the point where they are rivalling or surpassing the main floor in terms of style and quality finishes. “Basements are valuable real estate and should be treated appropriately in terms of design and planning,” says Norm Lecuyer, president of Just Basements in Carp, Ontario. While many of his Ottawa-area clients are looking to create a place where their kids can hang out or to add an extra bathroom, his company gets a lot of requests from people who no longer have children at home. Solomon says it’s not just a matter of requiring additional living space; it’s about separation of space, since modern main floors are so open, it can be difficult to accommodate several activities simultaneously, such as trying to do work on the laptop at the kitchen table while your son and his teenage friends are playing a video game in the great room. That’s where the basement can be invaluable. They are equally popular as adult retreats for spaces such as wine-tasting rooms, games and pool rooms—even saunas and home gyms. Walden says his most unusual request was for a putting green. Solomon installed a synthetic rink in one of his projects. But clients shouldn’t think of such upgrades as financial investments, cautions Solomon. “I don’t recommend that people finish a basement to flip a house,” he says. Statistics back up such advice. According to the Appraisal Institute of Canada, basement renos have a medium return on an investment, with a ROI of just 50% to 75%. Home improvement shows may have fuelled homeowners’ wishes for downstairs secondary suites or income-producing rental apartments, but that can get complicated, warns Bowden. Some municipalities don’t allow them and there are also rules about putting bedrooms in basements. Solomon says most homeowners don’t appreciate how extensive the requirements are for creating basement apartments, including minimum ceiling heights, natural light provisions, points of exit, etc. A good contractor should educate them about those rules. While adult children may be living with their parents or moving back, Lecuyer notes the reverse is also occurring. And the basement is often the most logical space to accommodate them. “We’re seeing a trend of people bringing their parents into their homes and we may do a bedroom, bathroom and kitchenette and install features such as accessible showers or lifts on stairs,” Lecuyer says. For some clients with large luxury homes and big budgets, Walden Homes has, in some cases, added an extra basement to create two levels below grade. This extra basement can house amenities such as a spa, massage and yoga rooms or even underground storage for cars. In some Toronto homes, Bowden says they’ve created basements that extend underground beyond the back walls of the house. It’s an ingenious solution where municipal setback rules limit building an addition, but where the rules don’t apply below grade. Basements present unique renovation challenges, though—especially in older homes built when no one imagined that they’d be used as living spaces. “You have to deal with the footprint you’re handed” and make the most of designing in a restricted space, Lecuyer says. Furnaces, ductwork, posts and beams are all obstacles to be worked around, though they can also be the inspiration for some creative architectural features. Moisture is a common problem and the solution often begins outside the home. In Toronto, many older homes were not built with weeping tiles, thus drainage can be an issue. One of the first steps is to ensure a home has weeping tiles that drain into storm sewers or a sump pump (weeping tiles and sump pumps weren’t mandatory until 1980). A lot might have to be re-graded or a downspout repositioned to ensure water doesn’t drain next to foundation walls. Any basement wall cracks or leaks should be repaired and proper vapour barrier installed. And for basement renos, water-resistant materials such as steel studs and magnesium board are a good idea, says Solomon. Stairs can pose another dilemma. One of the problems in old houses is that foundation walls are thicker than on the main floor, so stairs leading to the basement had to be narrow. Many older homes have side-door entrances with landings, and eliminating that door can accommodate the widening of stairs and making the stairway less steep. But, as Bowden reminds, it’s always easiest to configure the new stairs if the main floor is being renovated at the same time. Low ceilings are another common concern in older basements. If a homeowner wants to excavate a basement to make it deeper to create more headroom, that’s a complex issue, as it will call for underpinning to secure the foundation. Bowden says this type of job requires special permits, the help of a structural engineer, soil tests and regular inspections. In that case it’s easier if a rear addition is being constructed at the same time. As basements tend to be colder than the main floors, Bowden says the ideal solution is to have a zoned heating and cooling system that treats the basement space separately from the rest of the home. In a new basement, radiant in-slab heating is a great solution and can be used in conjunction with a combination boiler system. One of the common myths about basements is that they are plagued by poor lighting, says Lecuyer, who points out that most people use their basements in the evenings when it’s dark anyway. “We do try to get windows in the right location, but having good lighting is more important than natural light.” Screening rooms don’t require any natural light, but it would be desirable in a fitness room, for example. Solomon agrees. “For a lot of activities, such as TV or movie watching or playing pool, you don’t need a lot of light.” But Solomon notes that light colours play a big role in making a space feel larger, while wall sconces can add light and LED lighting can brighten up even a dark room. The ingredients for success in a basement reno are similar to that of any other upgrade in the home, says Solomon: consultation and design, planning (which includes permits, finishes, work orders) and execution.